You have a pair of motorcycle jeans and would you like to have hip protectors? Or you find the current shoulder protection in your jacket not comfortable? Or you would like to upgrade your motorcycle jacket with a back protector? You can find it here! 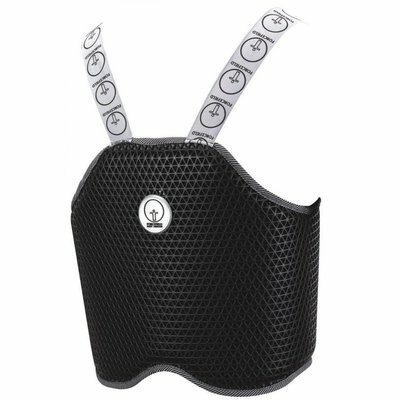 Motorcycle chest protection ensures (partial) absorption of the energy that is released in the event of a fall or collision. Generally, all motorcycle jackets come with shoulder and elbow protection. The back protector for your motorcycle jacket is not supplied 9 out of 10 times. This is often the case with the hip protection for in a pair of motorcycle jeans too. It could be you want to complement your motorcycle gear with these protectors. But it is also possible that you don't like your current protectors. Then you can always check if there is another variant that feels more comfortable. There are several brands for chest protection in motorcycle gear on the market. The more well-known brands are D3O and Sas-Tec. But so many motorcycle gear manufacturers have their own collection for chest protection. REV'IT has a line called SEESOFT™ (CE-level 2) and SEESMART™ (CE-level 1). 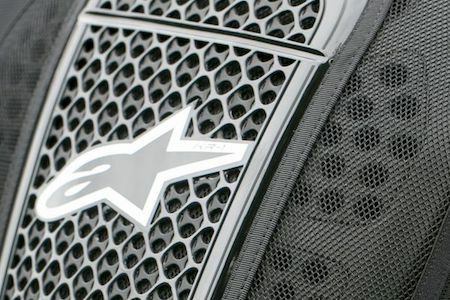 And so Alpinestars has their Nucleon collection and Dainese their Pro-Armor collection. There are 2 levels for chest protection in motorcycle clothing. CE-level 2 and CE-level 1, where CE-level 2 is higher than CE-level 1. These have been tested on the norm EN1621-2: 2014. There is chest protection for motorcycle clothing that you put in a pocket of a motorcycle jacket. An insert. But there are also separate protectors. In particular, these are back protectors, which are often used on the tracks. Airbag vests become more popular every day. Also because it is becoming more and more affordable. Motorcycle airbags can be divided into two groups. Those that function completely stand alone and a type that is connected to a mounting cord on the motorbike. Do you have questions about chest protection in motorcycle gear? Then contact our customer service specialists. We are happy to help you with expert advice! In addition to motorcycle chest protection, you can also find other accessories such as waterproof bags, winter gloves, summer gloves and heated gloves. We offer a wide range of motorcycle gear. Of course you are invited to our shop in Amsterdam. Here you will find our full range of motorcycle chest protection. Chest protection for the motorbike can be ordered easily and quickly. With an order from € 50,- you will benefit from free shipping in NL.